Did you know that during Vincent Van Gogh’s lifetime, he only ever sold one painting. Quite unbeliveable isn’t it?! 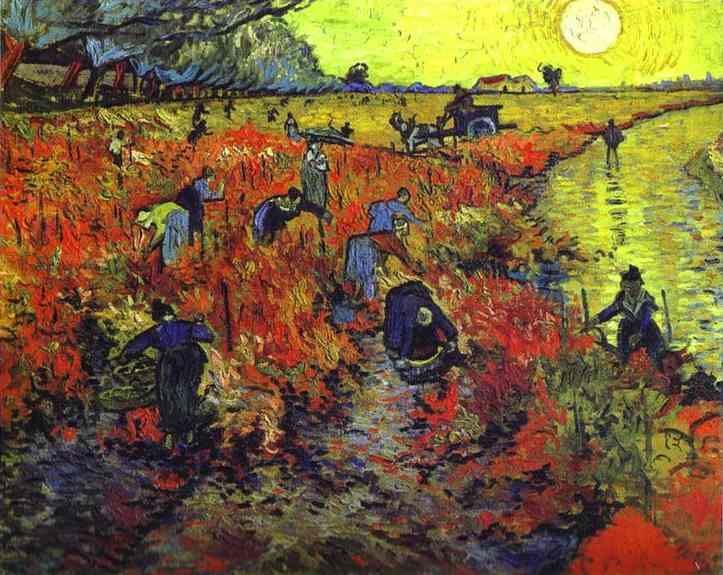 This painting called Red Vineyard, painted in 1888 was exhibited in Brussels in 1890 and sold for just 400 francs! It’s now in the Pushkin Museum in Moscow if you’d like to see it in the flesh. Why does the Pushkin museum have The Red Vineyard? Well like The Night Café, it was acquired by the famous Russian collector Sergei Shchukin, was then nationalised by the Bolsheviks with the rest of his collection and eventually passed to the Pushkin Museum of Fine Arts in Moscow. After Van Gogh’s death in 1890 it was actually Van Gogh’s sister in law, Johanna van Gogh-Bonger who strove to establish a market for Van Gogh’s paintings. We’re an art reproduction company called Fabulous Masterpieces that solely concentrates on painting museum quality reproduction oil paintings. 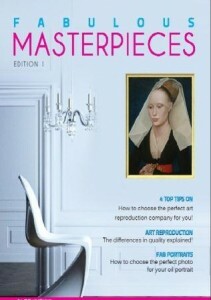 We’ve even produced a magazine on the topic to help you out if you want to learn more about fine art copies. Just click on the image above. Fancy commissioning an fine art reproduction oil painting of your favourite Van Gogh painting? Simply visit the Van Gogh Paintings gallery.